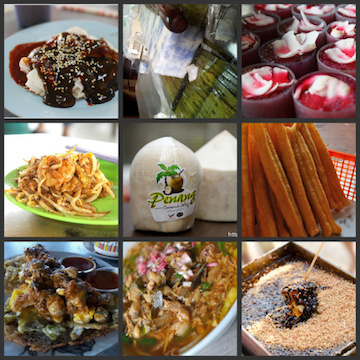 Lately I am into searching for affordable and good foods around KL Selangor area. Authentic Thai food are available around KL which I previously written which I recommend is Surisit at TTDI and Good Evening Bangkok 1 Utama. But you can afford to eat them daily. 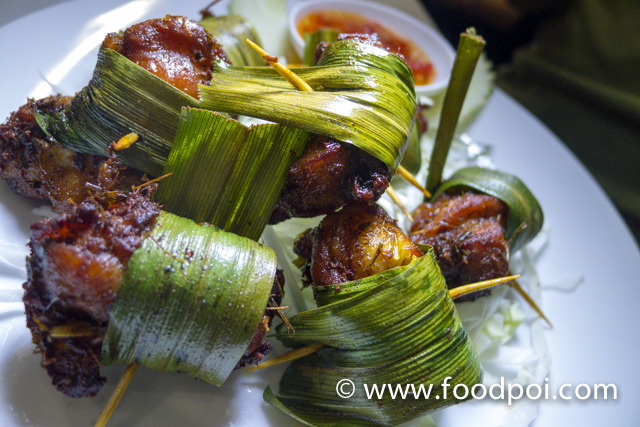 Now I am going to share with you a restaurant which I scouted yesterday located at Taman Danau Desa KL. 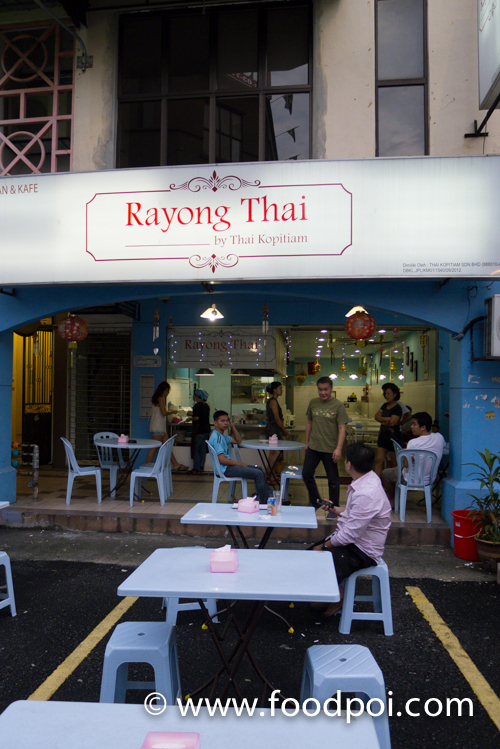 The place is known as Rayong Thai by Thai Kopitiam. The place give you a very comfortable feel as if you are dining in Thailand. All the staffs are 100% Thai and able to speak reasonable English. The place employ an open kitchen concept which you can see through their cooking place. There are actually have 2 kitchens in this restaurant. 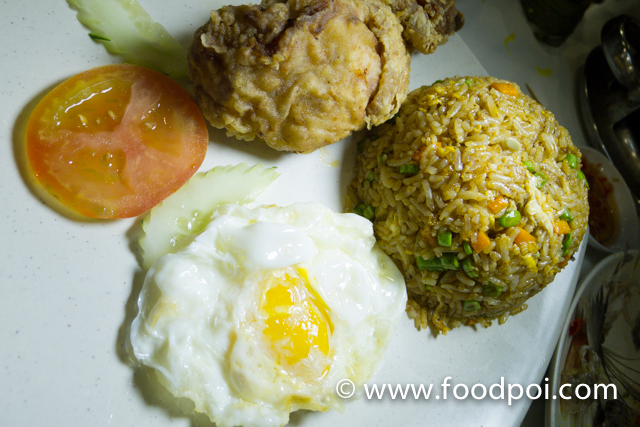 The front restaurant kitchen are used to fried Pad Thai, Fried rice and light dishes. The back kitchen is for the main course preparation that need more steps to cook. 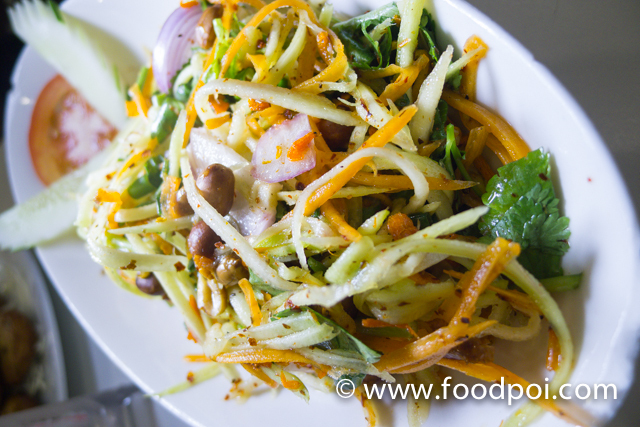 The mango salad here is a perfect choice to become your starter as the tangy and spicy flavor bring out the appetizer . 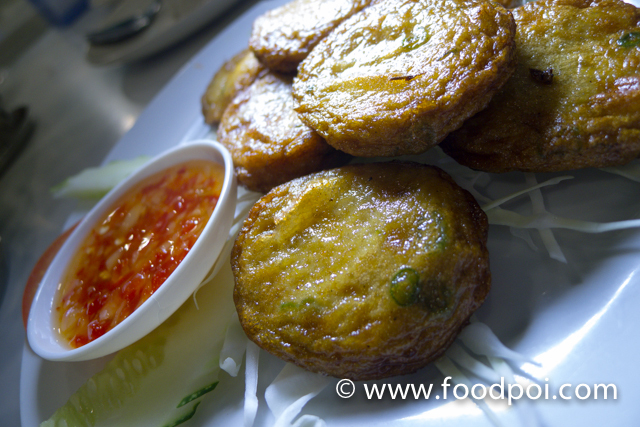 The dried shrimp, fish sauce and the chilli powder are from the Thai good quality ones. Go slow with this one. It indeed smell good when served. I ask you to go slow cause it is very hot as in the heat from the deep fried. 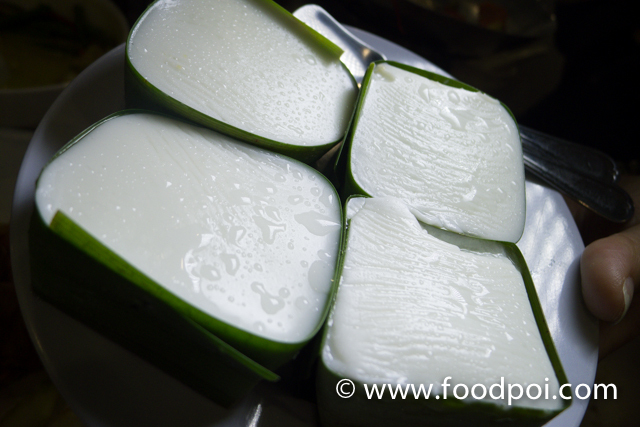 Normally pandan chicken prepared by non pro will be dried. Here it retain the juiciness and moist. 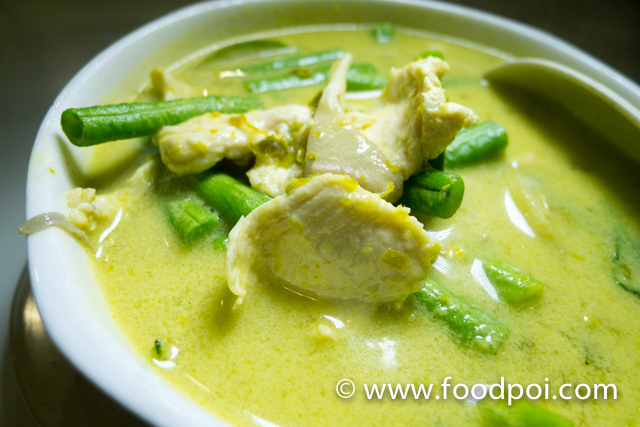 A must order to gauge the authenticity and how good is the Thai restaurant. 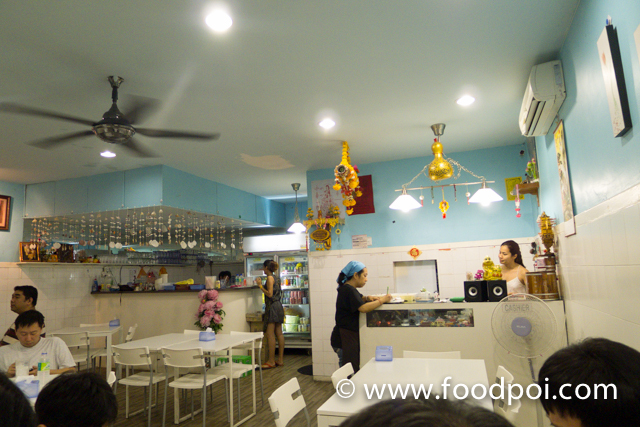 Here they pass with flying color where their Tomyam Gong just cost RM11.90 for small portion that serves 2. 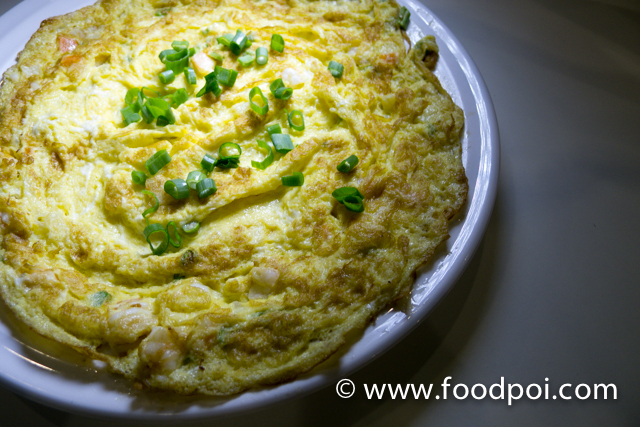 There are squid, prawn and fish in it. 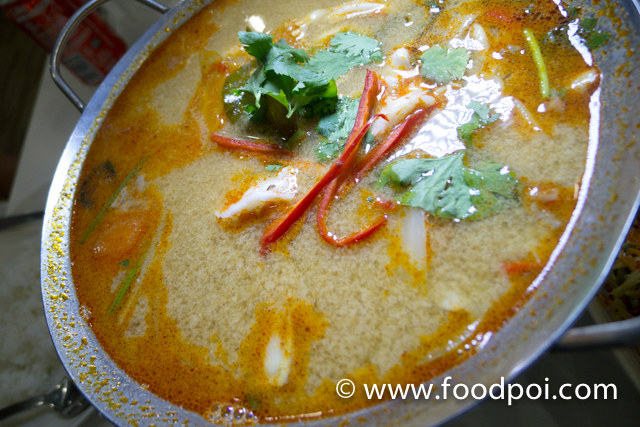 The soup pack with plenty of punch and not just spicy taste. This is exactly what I had in Haadyai version that do not put coconut milk. 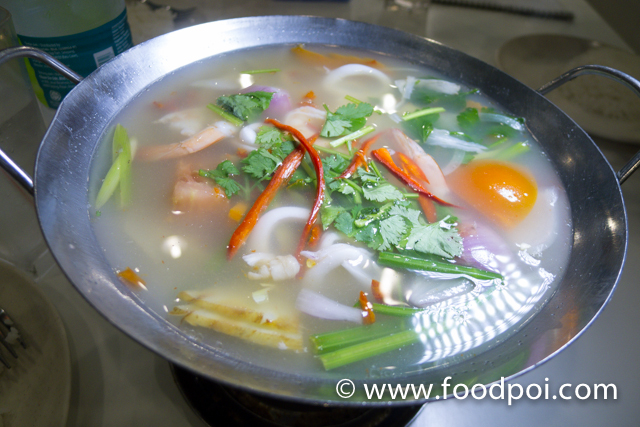 Same like the original tomyam gong, this also a must try here at Rayong Thai. 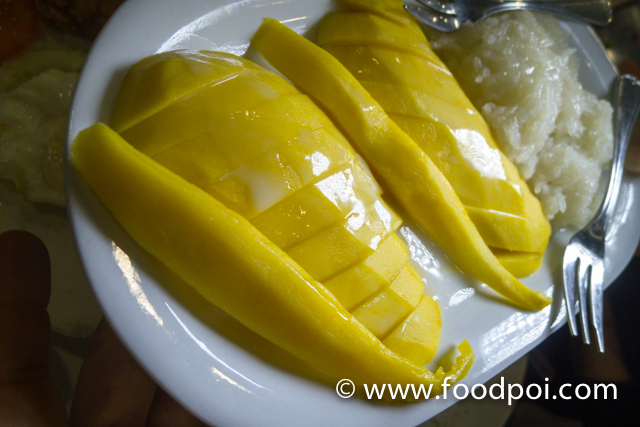 Some people like to original version but I like this one which origin from northern Thai. This is the only dish that doesn’t up to my standard. I find it pretty mild and the curry not thick enough. Steamed Sea Bass with lime juice and chilli. The fish size are just perfect. This fish are ideal for 4 and a must try here. When I was there, I saw 75% of the customers order them. 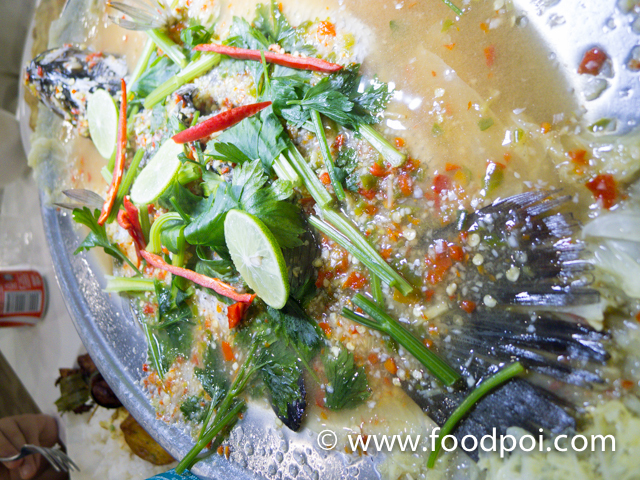 The fish is fresh and a hint of Thai Fish sauce is added. Jalan 4/109F Taman Danau Desa.